A new book, described as the first to explore Samuel Beckett’s relationship with the publishing world, has recently been announced. This should make interesting reading, detailing as it does Beckett’s long journey as an author from the world of little magazines to publishers like Olympia Press and Éditions de Minuit in Paris, Grove Press in New York and Faber & Faber and Calder in London. Seán Kennedy contributes an essay on ‘Beckett Publishing in Ireland’ and there is also a piece on his dealings with Chatto and Windus, or ‘Shaton and Windup’, as Beckett disparagingly referred to them. 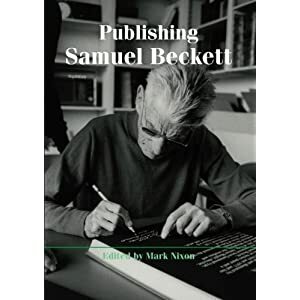 Just to note that the first book, a full-length monograph, to treat Beckett’s relationship with publishing is *Samuel Beckett in the Literary Marketplace* (NY: Syracuse UP, 2011). Thanks, Stephen. I must confess I have not seen your book but will certainly be seeking it out. S.